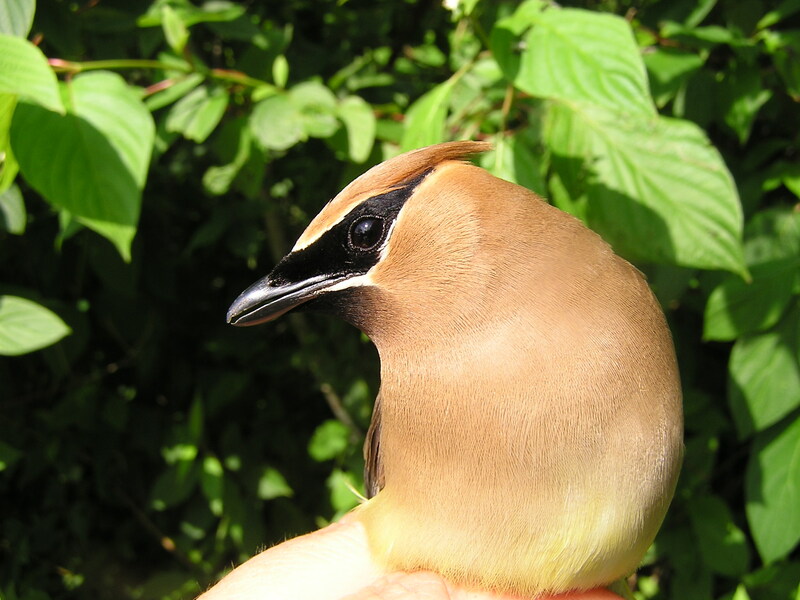 On July 22, BBBO banded its 200,000th bird – a gorgeous Cedar Waxwing! A second-year male Cedar Waxwing becomes BBBO’s 200,000th bird. The BBBO staff were under a strict admonition to make certain the record-breaking bird was a good one, and we spent the morning trying to decide if we should rig the results by selectively choosing the order in which we banded birds to ensure that the 200,000th bird was the best of the bunch. Ultimately, we decided to play it straight and ended up with a bird that is both beautiful and is representative of the birds we band in the summer. He is a perfect bird to hold this title! Friday June 7, 2013. 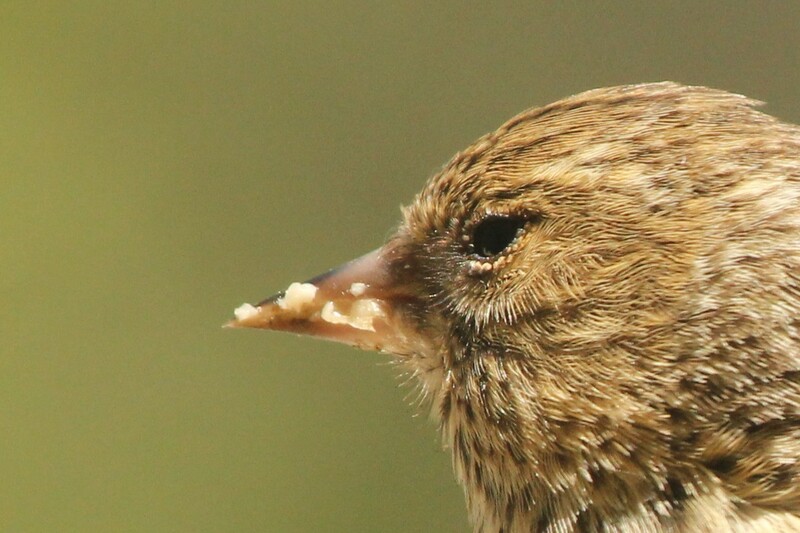 Kathy Hapgood discovered this obviously sick Pine Siskin yesterday at her feeder. Today she found it dead. It is quite probable that the bird was infected with Salmonella. 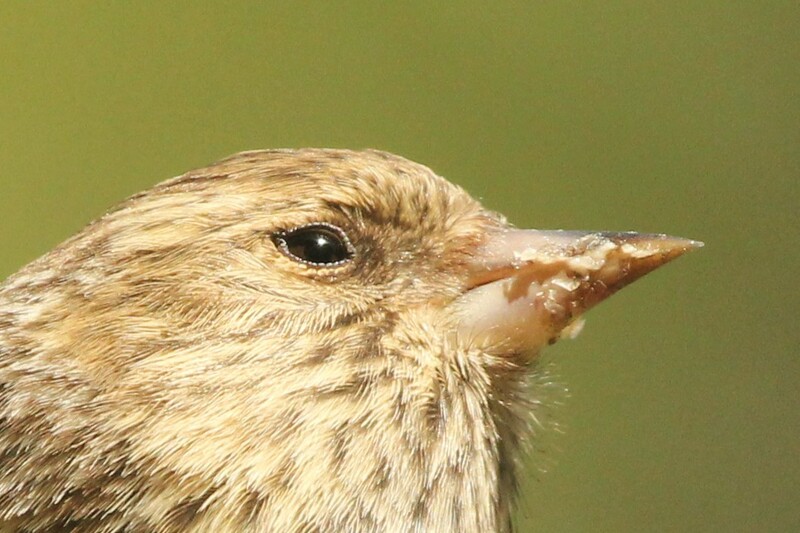 Siskins are one of three species most often affected by this pathogen. Wildlife officials’ advice is that if you find sick birds at your feeder, take the feeders down and disinfect them. 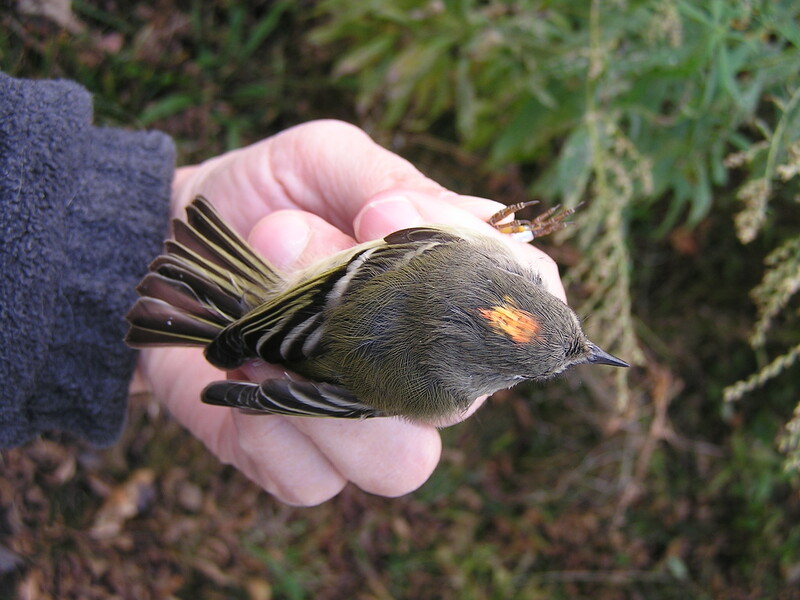 Use gloves to pick up the dead bird, and wash your hands thoroughly. You probably should just stop feeding the birds for awhile. There is plenty of natural food available for them at this time of the year.